Welcome to my Blog & thank you for popping by. 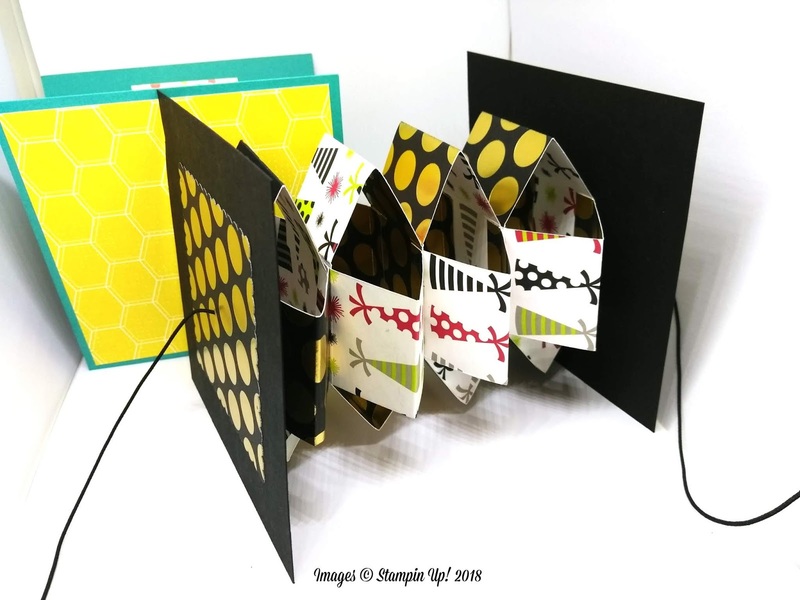 Today i have a really cool spinning card that is very easy to make and definitely has the 'wow' factor!! I can not take credit for this design as i came across it on another YouTube Channel. The channel is called Paper Folds and you can find the link to it on my YouTube video. As soon as i came across this card i new i had to make it. I think kids would love it! I really hope you will give a try and you will see for yourself just how easy it is to make. You only need small amounts of card and paper too. I used some gorgeous new DSP called Broadway Bound. I highly recommend this DSP as its so pretty! Every piece is foiled and double sided. YOU WILL ALSO NEED SOME TWINE OR ELASTIC TO MAKE YOUR CARD SPIN! Please find all the products i used at the end of this post as well as the link to my YouTube tutorial. If you would like to place an order you can shop with me 24/7. Just click any of the product links below or click the shop online now tab at the top of this blog. Please remember to use my hostess code if your order is less than £150. Free stampin Up products for all that do!! Thank you and i will be back on Sunday with another tutorial.